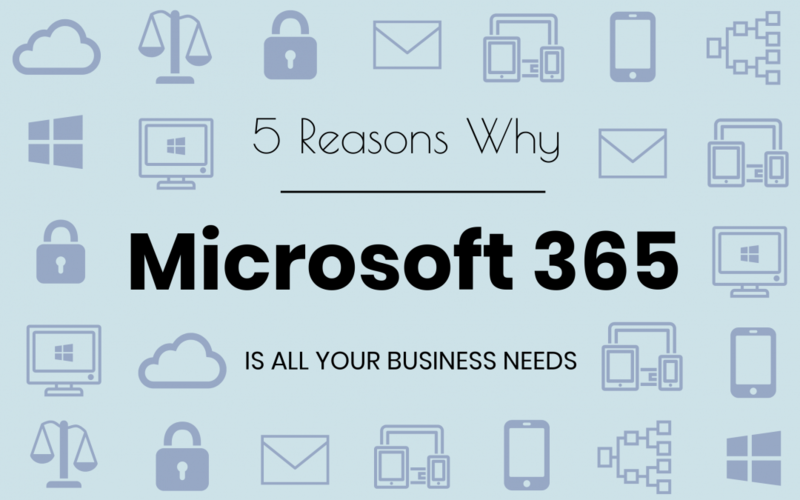 Yes, we mean Microsoft 365, not Office 365. As much as we love Microsoft and all that they offer, we have to admit it. When they sat down to name their different services and products… they made things a little confusing. Microsoft 365 is the bundled package that includes: Office 365, Windows 10, and Enterprise Mobility + Security. Microsoft likes to offer a lot of flexibility in terms of which products you can purchase and subscribe to. So, as a result, there are so many different combinations and packages you can go with or customise in order to fulfill the needs for your business. You can subscribe to just Office 365, or you can subscribe to Office 365 + Enterprise E3. You can get just Enterprise Mobility + Security, or you can opt to have Office 365 + Intune. The options are just about endless. And of course as a result, the confusion is just about as endless too. Prices are $AUD per user/month. Here we’ve compiled a table which sums up the essential bundles you can subscribe to, and what they more-or-less include. At a glance you can immediately see that the Microsoft 365 packages bring it all together in one neat package. But still: you might think that Office 365 has all you need, and all the bells and whistles that come with Microsoft 365 don’t add any real value. That’s where you’d be wrong! Windows 10 has been around for some time now, of course, and as a result, your business may very well have it installed across the board already. If you were hesitant to take the leap from Windows 7 (after the disaster that was Windows 8), then this is a great way to get you up to speed. However the best news is that Microsoft 365 is future proof, as it will include any future OS upgrades as they roll-out. And rumours are already beginning to circulate about a new OS that Microsoft is working on. Here’s another great perk. Windows has additional features that are accessible when you have Microsoft 365. Sets and Your Phone are bonus features that will optimise your workflow significantly. If you’re guilty of running about five thousand browser tabs at the same time, then Sets is the tool for you. Group applications and browser pages within a single window, and just alt-tab to shift between your sets as you require. Your Phone is a helpful window on your PC that displays messages, notifications and photos from your iOS or Android mobile device! 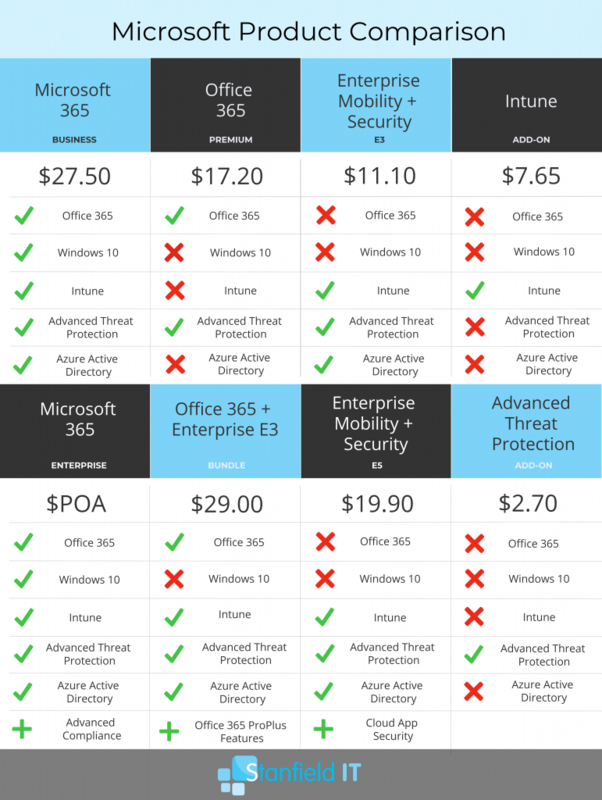 Microsoft 365 gives you improved security compared to the Office 365 subscription. With unlimited cloud storage for Exchange email, App protection (for mobile apps), data protection policies, and continuous backups, you can truly breathe easy. Microsoft 365 also includes Compliance and Archiving capabilities such as Advanced eDiscovery, Customer Lockbox, and Advanced Data Governance. Microsoft Graph is not your traditional pie chart or bar graph, depicting sales figures. Graph is the back-end platform that connects your devices and services within Microsoft 365. Overall, it enables all of the data to be communicated between these apps and services. As an example, this means the Cloud can learn your grammar patterns, and offer more intelligent suggestions. Developers can also utilise Graph to create apps that interact with this environment. At the end of the day, if you consider everything that’s included with Microsoft 365, the list would likely go on to infinity and beyond. To summarise it’s best features though, you’re looking at an affordable bundle that includes: Office 365 and all associated apps, data protection policies, mobile device management, Azure AD (for identity management), upgrade to Windows 10 (and any future operating systems) and advanced security and threat detection measures. Whew. And that’s really just scratching the surface of whats truly included. Kick it up to the Enterprise edition and you’re looking at even more. For the cost ($27.50 per user/month), you’re looking at an enormous advantage and value for money compared to the Office/Enterprise bundle or even just Office 365. For just over $10 extra per user/month (vs Office 365), you’re getting an exhaustive list of additional features that support your business, protect your data, and boost your productivity. You can’t ask for much more than that. If your curiosity bone is tickled, then definitely chat to our team at Stanfield IT, and they’ll be able to help you with the whole process, from inquiry to installation.